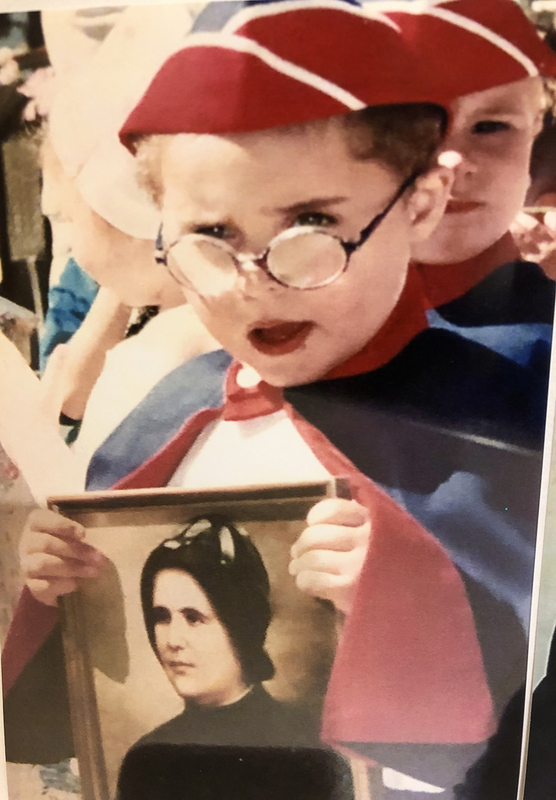 Dominic Gatti as a 5-year-old boy in the May procession at Sacred Heart Villa preschool. 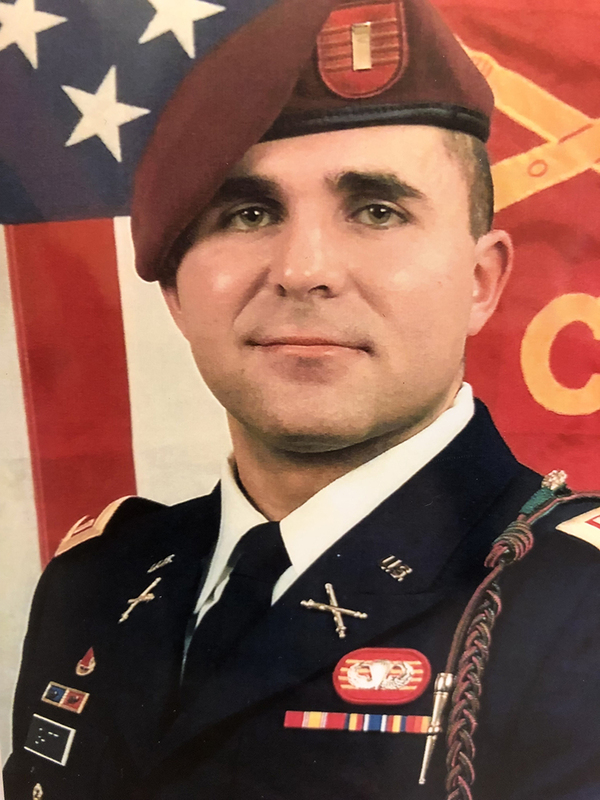 Gatti is a lieutenant in the 173rd Airborne Brigade. 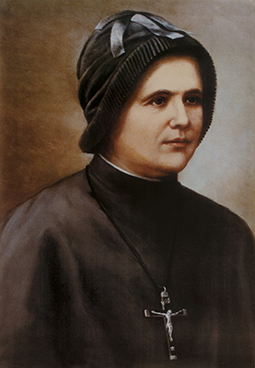 The beatification Nov. 5 of Blessed Clelia Merloni, foundress of the Apostles of the Sacred Heart of Jesus, was marked with joy throughout the world, including St. Louis where a case for a miracle involving prayers to her was investigated as part of the beatification process. It was judged to be credible by a team of doctors for the sainthood cause. The Apostles of the Sacred Heart have touched the lives of students, parishioners and poor and marginalized people throughout the St. Louis community. They are well-known for operating Sacred Heart Villa, an early childhood program in the Hill Neighborhood of south St. Louis, and Cor Jesu Academy, a high school for girls in south St. Louis County. A Mass celebrating the beatification is set for 1 p.m. Saturday, April 6, at the Cathedral Basilica of St. Louis. Kathy Gatti, a Cor Jesu Academy graduate, and her husband, Tom, enrolled their two children at Sacred Heart Villa more than 20 years ago. Their daughter, Christina, also is a Cor Jesu grad. Already close to their faith, the St. Roch parishioners grew closer to it, to the Apostles and especially Blessed Clelia during a difficult pregnancy and during health struggles of their son, Dominic. While pregnant with Dominic, Kathy Gatti was diagnosed with hyperemesis (severe nausea and vomiting). She lost 45 pounds and was hospitalized four times with severe dehydration. Then, at a parent meeting at Sacred Heart Villa, she drank from a cup used by Mother Clelia and prayed for her intercession. She also received a Mother Clelia prayer card and medal she keeps in her purse. She also says the prayer every day. Her symptoms lessened and tests by the doctors showed the baby was growing appropriately after that, Kathy Gatti said. Dominic was born healthy three weeks early. “I’ll never forget the joy my heart felt, and I thanked Mother Clelia for her intercession,” Kathy Gatti wrote in a letter to the provincialate in Rome detailing what she called the miraculous intervention. At a year old though, Dominic’s parents were increasingly concerned because he wasn’t crawling, walking or sitting up on his own. Visits were made to their physician, where patience was prescribed, then a neurologist where the concern level from the medical people still was low and therapy was prescribed. Subsequent tests led to a diagnosis of an enzyme causing a serious gross motor development delay and a referral to a geneticist. A skin test was taken and a six-to-eight-week wait for results was required. “I prayed even harder to Mother Clelia, Mary and St. Jude to ask Jesus to spare my son,” Kathy Gatti wrote. When Dominic turned 16 months, more than two months after the test results were supposed to be completed and on the advice the geneticist, the Gattis insisted on an MRI exam, though the neurologist had resisted it. The results showed Dominic had a brain tumor the size of an egg in his left ventricle, and spinal fluid in a chamber surrounding his brain stem causing pressure on his brain. She was urged to schedule surgery immediately. Some loss of vision was almost certain with significant and possibly life-threatening blood loss. That was on Friday, and surgery was scheduled for Monday. At that point, “I realized that I could not do anything and that God would decide the fate of my son,” Kathy Gatti wrote. The Apostles also asked her to take Dominic to a healing Mass being celebrated by Father Peter Rookey, OSM. Before the Mass, the priest blessed Dominic, who held his hand on the priest. Afterward, Dominic, who had been increasingly in pain and discomfort, became quiet, then happy and joyful. Father Rookey told them that the surgery would not happen Monday. Later that evening, the surgeon called to reschedule the surgery for the next day. When the surgery ended after nearly nine hours, the surgeon told the family that Dominic came through it wonderfully, never bleeding. His recovery was quick, with no vision impairment or motor-skill delay. The doctors were flabbergasted. They said they could not explain it unless it was an act of God. A Mother Clelia prayer card and medal were in the crib with Dominic when he was transported to the surgery room. Dominic, now serving in the U.S. Army, has had no issues related to the surgery or his prior problems. In thanksgiving, the Gatti family placed a photo in their home of Mother Clelia given to them by the foundress of Cor Jesu Academy. Dominic Gatti attended Sacred Heart Villa, St. Roch School and Christian Brothers College High School. He left his lack of developmental skills behind quickly after medical problems that cleared up after prayers to Blessed Clelia Merloni for her intercession. He then played hockey for many years as well as basketball and soccer. At CBC, he played football, wrestling and lacrosse. He volunteered at a soup kitchen for the needy and a camp for children and was given the Archbishop May Award as a high school student for his community service. His sister, who volunteered with elderly people, also received the award for her service. She went to the U.S. Naval Academy in Annapolis, Md. Dominic attended the U.S. Army Academy at West Point and is a paratrooper and field artillery officer in Germany. “We never quit thanking her,” his mother, Kathy said of Blessed Clelia. Clelia Merloni was born in Italy on March 10, 1861. As she matured, she found herself more attracted to prayer and solitude than to the elite social life and administration of the family business that her father wanted for her. She responded to God’s call by choosing religious life. She renounced everything, using her charismatic zeal and the sizable inheritance from her father’s estate to minister to the needy and marginalized. On May 30, 1894, she founded the Apostles of the Sacred Heart of Jesus, sending sisters to the Americas at the turn of the last century. Blessed Clelia sustained years of difficult trials, humiliations and sorrows. Yet her life was consumed in daily kindnesses and sacrifices for the needs of others and for the growth of the congregation. She died in Rome on Nov.21, 1930. Her body was as exhumed in 1945 and found to be incorrupt. On Nov. 3, Mother Clelia Merloni’s beatification was celebrated at the Basilica of St. John Lateran in Rome, Italy. The miracle approved by the Congregation for the Causes of Saints, which facilitated the beatification of Mother Clelia, took place in Brazil in 1951. Five Apostles of the Sacred Heart came to St. Louis in 1913 to serve Italian immigrants at the former Our Lady Help of Christian Parish north of Downtown St. Louis. The Apostles founded and operate Cor Jesu Academy, which educates young women in an environment that is academically challenging and rooted in the Catholic tradition and Mother Clelia’s charism, “Sharing the Love of the Heart of Christ.” In addition, the Apostles established and operate Sacred Heart Villa, which offers an early childhood program serving children from age 2 through kindergarten. The sisters have also served at many other parishes and schools in the Archdiocese of St. Louis. Currently, Apostles minister at St. Ann Parish and School in Normandy, St. Ambrose Parish, St. Alban Roe Parish, St. Joseph School in Imperial and Seven Holy Founders Parish and Mercy South. Mother Clelia’s vision to bring the love of Christ to the poor, marginalized and those most underserved continues to be the impetus behind the Apostle’s service.